What If You Were Your Banker? Ken discusses the importance of developing a relationship with your banker. 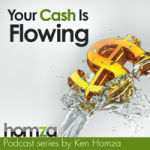 This entry was posted in Looking At Your Business From The Outside In, Podcast Series: Your Cash Is Flowing by Ken Homza. Bookmark the permalink.